“I will be in Barcelona for the last weekend of April and plan to visit Morocco for somewhere around 5-10 days after that. 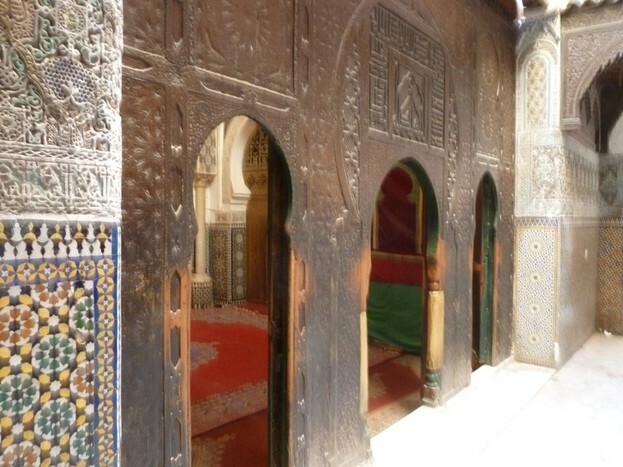 We have a friend who will be in Fez on May 2, but could meet in Marrakech on May 1 as well (but I assume that's not enough time to visit Marrakech?). We would like a mix of active, cultural, food, and architecture. We will be coming off of a beach ultimate frisbee tournament over the weekend, so probably a bit slower the first few days. We would love to do some trekking (mountain or desert), maybe staying in some mountain villages, experiencing the markets and cities as well. We love to try new food, and I love taking many photographs. The number of days are a bit flexible, we plan to stay until at least the weekend and could extend a few more days if it helps us fit in a few more things. For accommodations, we aren't very picky. Would rather stay in a better location than a nicer room, and prefer to put more of our money towards experiences and food than to lodging (we don't spend much time in the hotels). Larbi Anzal, a local specialist from Morocco, helped this traveler put together a customized itinerary. 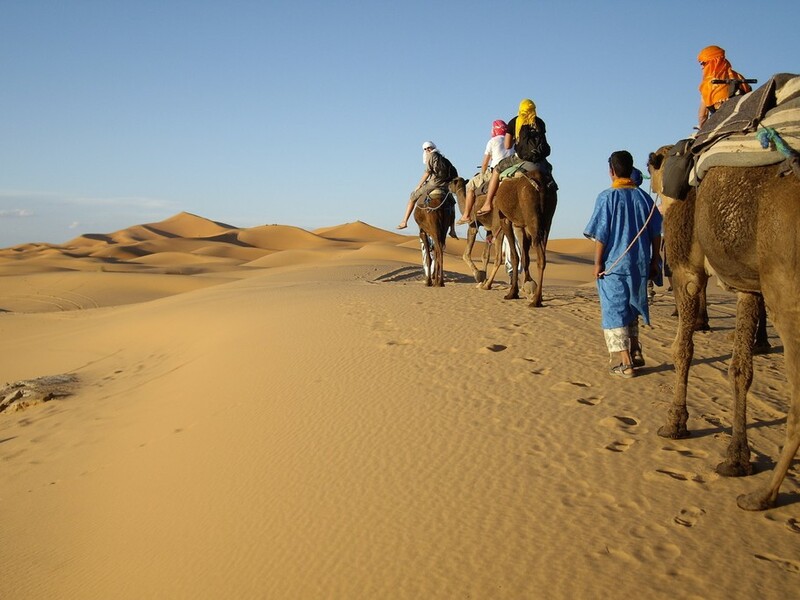 It is very nice to receive your inquiry regarding a trip in Morocco, a most colorful, lively, fascinating and stimulating country. Hopefully it can also offer you excitement as well as the relaxation that you wish too after your sports tournament! The idea is that we work together to develop your ideal itinerary so that it is bespoke to what you exactly wish. I am very keen to get started on suggesting an initial draft itinerary for your consideration. However, if you can kindly supply a few more pieces of information first of all then that will be very helpful. I wonder where you will arrive into Morocco and depart from Morocco? Are you flying in? Into Casablanca? Into Marrakech? Into Fes? Or are you planning to arrive in/depart by ferry from Spain into Tanger? This will greatly influence the first draft "circuit" I can suggest for your consideration. Also, you mention some trekking in mountain or desert. Is it one or the other? Or is it a bit of both? 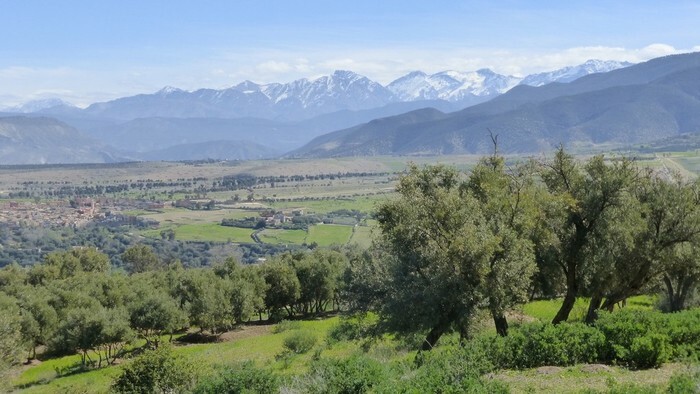 The High Atlas are on your doorstep by Marrakech and some great hiking is possible there, amongst Berber villages (where you can overnight in a Berber home if you wheels like). The hiking can be as easy/demanding as you wish. To go to the Sahara for some camel trekking and a night in a Bedouin Camp is great too but it would need minimum of 3 days from and back to Marrakech (but 4 days would be preferable). So, adding this to time in Fes as you wish, as well as time Marrakech, might make it a trip requiring many more days than you perhaps have available? Once I hear back from you with your observations then I can prepare for you an initial informative, illustrated Trip Plan for you. Thank you very much for your inquiry. I hope that this is the beginning of an exciting journey for you - both the trips planning as well as its actuality! Hi Larbi. We don't have our tickets from Barcelona yet, but will either arrive in the night of April 30 or mid-day May 1. We are flexible where we fly-into (and out of), probably different airports so that we don't need to backtrack? I think we would be interested in learning more both about the Atlas trekking and the desert, both sound great and I think we would be open to staying in a more unique location for the night in a berber village if you recommend it. I realize this is a lot and we probably cannot do it all, Perhaps closer to 10 days would be a better amount of time? How much time would we need to do all of these things without just rushing from place to place? It is great to hear back from you, so quickly and so positively. It is very good that you are thinking of more days too. Here is a first draft itinerary outline for you to consider. It is only a "starter"; we can tweak and adjust it until it is your ideal tour. Day 1: Arrival day in to Marrakech Menara Airport; arranged transfer to accommodation. Maybe try to arrive in on a morning flight so that you have the afternoon and evening in the city. Main Medina sights can be easily reached on foot. Day 2: A hiking day in the High Atlas in the Amizmiz area (Anzal Tours can arrange a taxi; less cost than having private transport and driver for this short trip - about 1 hour from Marrakech). Overnight in a Berber home. Day 3: Hiking continues and return to Amizmiz; Anzal Tours will again organise a taxi to bring you back to Marrakech. Day 4: Private transport and driver (PT&D): Marrakech > High Atlas and Tizi-n-Tichka Pass > Ait Benhaddou > and on to Ouarzazate and on to El Kelaa M'Gouna/Dades area (where the annual rose Festival should be in full swing). 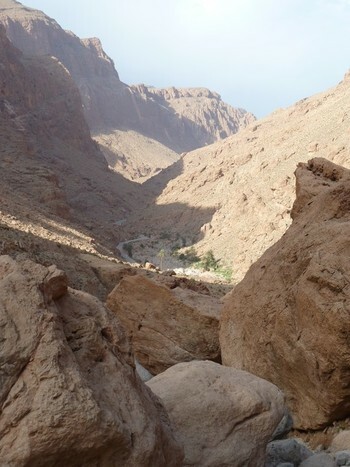 Day 5: PT&D: To Todra Gorge > to Merzouga/Erg Chebbi (the Sahara). Camel ride to Bedouin Camp for overnight. Day 6: PT&D: Merzouga to Fes. 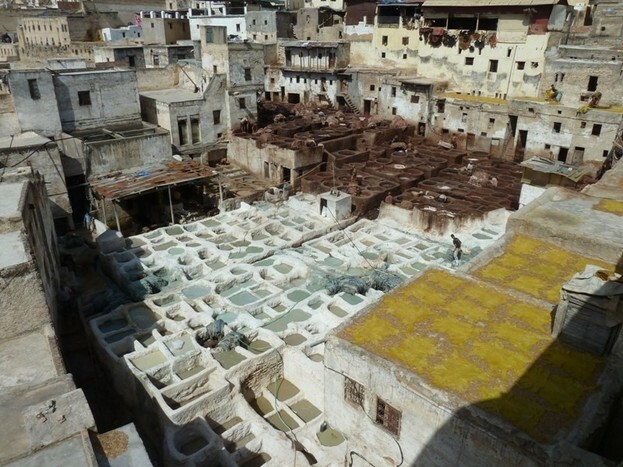 Day 7: PT&D: In Fes. 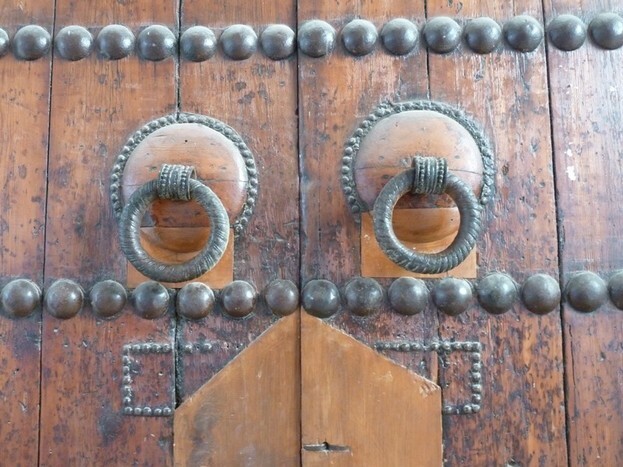 Day 8: PT&D: To Volubilis and Meknes; on to Chefchaouen. Day 9: PT&D: Chefchouen in morning; to Casablanca in afternoon. 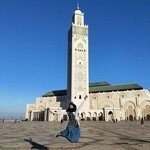 Day 10: Departure from Casablanca. Airport transfer arranged for you by Anzal Tours. How does that sound as a plan? I hope it sounds exciting and as you were hoping for. 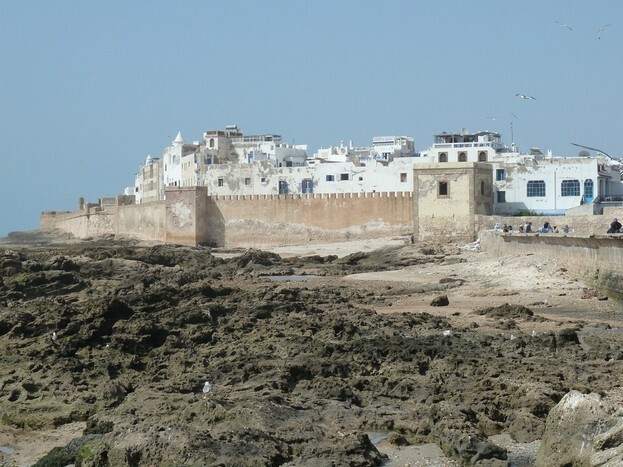 I have omitted Essaouira as it is a bit "out on a limb" and doesn't quite "flow" with the rest of the suggested itinerary. Very much looking forward to hearing back from you with your thoughts and observations. Hi Larbi, we will discuss some more over the weekend, but wanted to send some quick notes. Overall, this looks very nice. 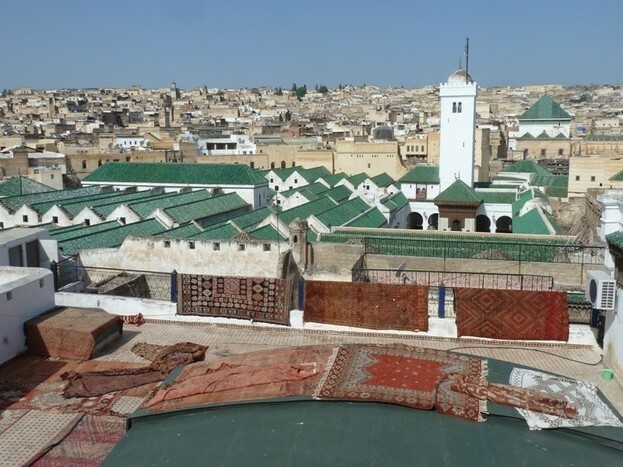 Perhaps we can start in Fes and then Chefchouen, and then come back via Volubilis and Meknes for another night in Fes and then do the Sahara & Dades valley in reverse? Is that possible? Then end the trip in Marrakech? I don't think we need to visit Casablanca, we can try to find flights into Fes and out of Marrakech if that saves us some extra driving. For the hiking in the Atlas mountains, that will be just the 2 of us, is that right (we just have a taxi to/from the trail?). For day 3, it seems like we return to Marrakech that night, but then the next day we go back to the High Atlas--would it be easier to spend another night there? How long is the driving that day? 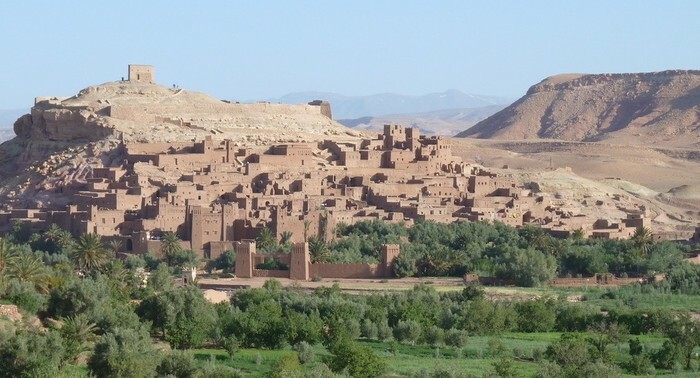 Is it possible to spend the night in Kasbah Ait Benhaddou? Yes, of course, take your time and make sure that the day-to-day sequencing is as you wish it to be. Once you have determined what is best for you then just let me know and I can then develop a draft Trip Plan for you. In the meantime, I have "translated" your revised itinerary wishes (just very briefly for the moment to allow you to consider this plan. Day 1: Arrival day in to Fes. Airport transfer to accommodation. Rest of day in Fes. 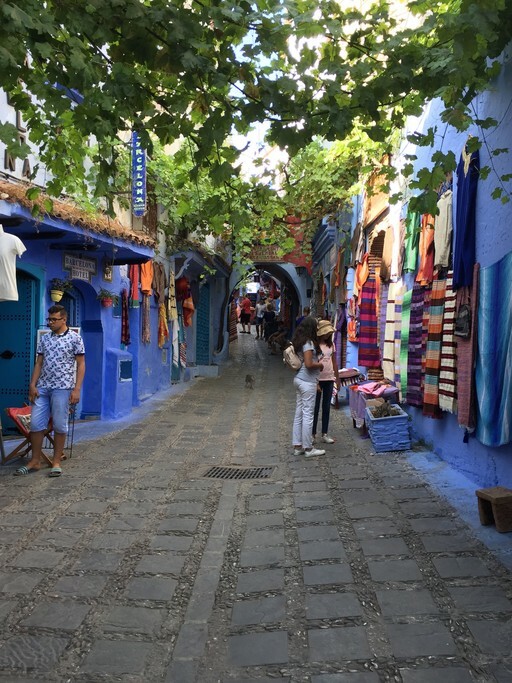 Day 2: PT&D: Fes to Chefchaouen. Day 3: PT&D: Chefchaouen to Fes (perhaps via Meknes and Volubilis). Day 4: PT&D: Fes to Merzouga/Erg Chebbi (the Sahara). Camel ride to Bedouin Camp for overnight..
Day 5: PT&D: Merzouga to Todra Gorge and then on to Ouarzazate and to Ait Benhaddou for overnight. NOTE: This is do-able but quite a long day of travel. You could opt to stay overnight in Dades Valley (between Todra and Ouarzazate) and then have a High Atlas hiking day tomorrow and have a second night in Dades Valley before then moving on. By doing this then you could omit your hiking in the Amizmiz area of the High Atlas). Day 6: PT&D: Ait Benhaddou to Marrakech via the High Atlas and Tizi-n-Tichka Pass. Rest of day in Marrakech (to have some time here after your travels in previous days). 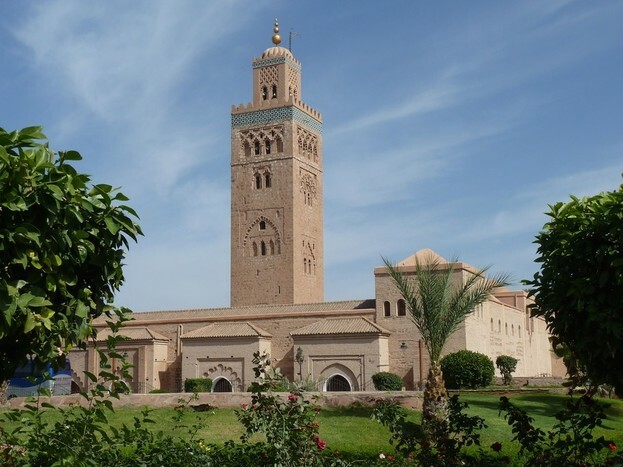 NOTE: If you wish you could certainly go to Amizmiz or similar area area at the end of this day, rather than going to Marrakech and then do your hiking the next two days (Day 7 and 8) before concluding in Marrakech. 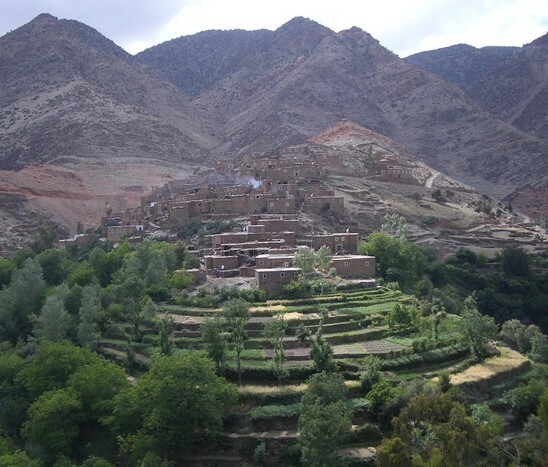 Day 7: PT&D: A hiking day in the High Atlas in the Amizmiz area (Anzal Tours can arrange a taxi; less cost than having private transport and driver for this short trip - about 1 hour from Marrakech). Overnight in a Berber home. It would be a private hike for just you two alone (with a Mountain Guide to be with you). Day 8: PT&D: Hiking continues and return to Amizmiz; Anzal Tours will again organise a taxi to bring you back to Marrakech. Day 9: Marrakech. No need for private transport and driver. Day 10: Departure from Marrakech Menara Airport with airport transfer arranged for you by Anzal Tours. I hope this answers your questions and gives you plenty to consider. Of course, the plan i that we work together to teacake dn adjust until all is as you exactly want it. Enjoy your weekend discussions and I look forward to hear from you early next week with you next thoughts. Once we have the basic itinerary framed up then I can prepare a Trip Plan, illustrated and much more informative about each day. We had an incredible time during our 12 days in Morocco! We usually travel quite independently, and this was a new experience for us having a private driver for the first 7 days of our trip, and a mountain guide for another 2. Now that we are back, we wouldn't have had it any other way. We learned so much from our time with Said, about his culture, family, and other random facts and observations. I think this was the best way to really immerse yourself into Morocco, especially if it's your first time to Africa or a Muslim country. Said was also very knowledgeable of the general area. He took us to many places we didn't know about and often stopped in small towns or the side or the road to show us a collective (fossils, roses, argan oil, ceramics), taste some dates or watermelon, or to see a small gift a local was selling (Without feeling pressured to buy). He also took us to visit a nomadic family and share tea with them in their tent, a very special experience for us. It was sad to say goodbye. I'm not sure that we would do anything differently. We packed quite a bit into our trip, but there is so much to see: Roman ruins at Volubilis, wandering around the blue city at Chefchaouen, the busy medinas in Fes and Marrakech, and of course the desert! The desert was probably our favorite part of the whole trip. We spend about 3 full days driving between small market towns, stopped at a fossil factory in Erfoud, saw beautiful oases hidden in the rocks and sand, and enjoyed a memorable camel ride at sunset into the dunes where we spend the night enjoying music from local Berber people, who were all very friendly. We even got to hold a baby sand fox that a local boy had on the side of the road! Another very special part of the trip was spending 2 days hiking in the High Atlas mountains between small villages. We enjoyed 2 lunches with Berber families and spend a very crazy lightning storm in the home of another. Our mountain guide was great and very knowledgeable of the area, even when we had to change our route to avoid the river that grew from the storm. The riads we stayed at (Fes, Marrakech) were beautifully designed, and the service was top notch. It was great to enjoy a delicious meal on the roof or in the ornate dining areas of our riad after a long day of exploring. This trip really opened our eyes and re-prioritized our list of places we wanted to jump into next. Shukran to Larbi & Said for this very special trip!